The Marriage Ministry encourages and equips husbands and wives to grow closer to each other as they grow closer to Christ. 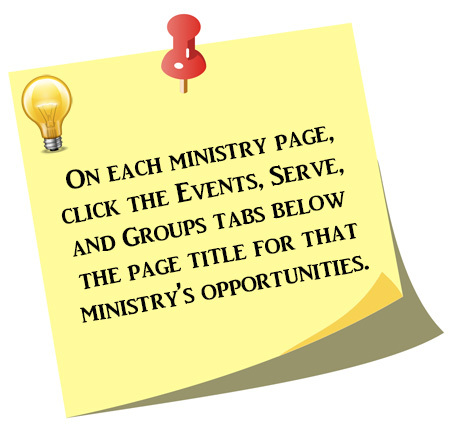 To see what's happening with the Marriage Ministry click on Events, Serve, and Groups (above) for information and details. Prepare-Enrich: is a customized couple assessment completed online that identifies a couple’s strength and growth areas in the following categories: communication, conflict resolution, partner style and habits, financial management, leisure activities, sexual expectations, family and friends, relationship roles, health and wellness, and spiritual beliefs, plus some customized questions specific to premarital, remarried, newly and not-so-newlywed couples. The assessment results, when used in conjunction with four to six sessions with a trained facilitator, can help to positively transform relationships. Click here to register for Prepare-Enrich. Marriage Mentor Couples: are couples who want to provide hope and encouragement for husbands and wives of all ages and marital duration by providing accessible, simple communication tools to assist in confronting any issues in marriage. We endeavour to model transparent, flawed relationships by sharing our stories and how God has helped us utilize a variety of tools for a variety of problems resulting in healing, restoration, and stronger relationships. We have trained marriage mentor couples whose lives have been transformed by the encouragment and wisdom gained in working on our marriages, and we want to come alongside other couples to provide support and encouragement, and to share hope! The mentor/mentee relationship typically lasts four to six months. Time, location and frequency are determined by the mentor/mentee couples. Birkman Discovery Workshop for Couples Fall 2018 - Sundays, October 14 - November 18 at 4:30 p.m. Click here for information and to register. Love & Respect (Five Date Nights!) Winter 2019 - Sunday evenings, January 27 – March 3 *excluding February 3 for Super Bowl* from 5:30–7:30 p.m. Click here for information and to register. Please contact Heather Sims at hsims@chapelwood.org or Becca Howard at bhoward@chapelwood.org, (713) 354-4498, for more information.